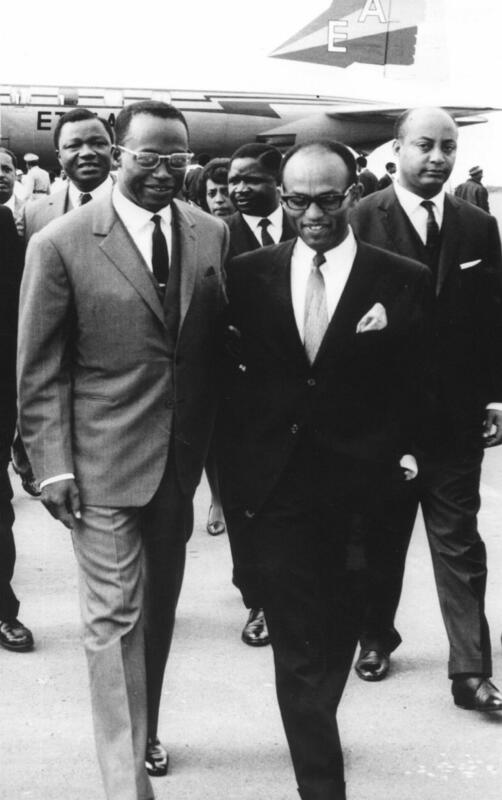 In May 1963, thirty-two independent African States, who had genuine hopes and visions for the continent of Africa, came together in Addis Ababa, Ethiopia, to create the Organization of African Unity (OAU). In the late 1950s, Dr. Kwame Nkrumah first President of Ghana and the first Prime Minister of Ghana introduced the concept of African Unity to the continent this concept, stressed the immediate unity of the African continent. He was inspired by the writings of black intellectuals such as Marcus Garvey, W. E. B. Du Bois, and George Padmore, and his relationships with them. Much of his understanding and relationship to these men was created during his years in America as a student. Some would argue that his greatest inspiration was Marcus Garvey. 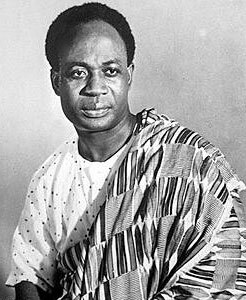 When Dr. Kwame Nkrumah introduced the concept of African Unity to the continent, a division, grew based on its implementation this division, was created at the onset. On one hand there were those countries which believed in the immediate unity of Africa. These countries were originally Ghana, Guinea, and Mali. Later on Egypt, the Transitional Government of Algeria, and Morocco, joined the Ghana-Guinea-Mali Union to form the Casablanca Group. On the other hand, the twenty-four member Monrovia Group, otherwise known as the Conservatives, which included Nigeria, Liberia, Senegal, Ivory Coast, Cameroon, Togo, and many others believed in a much more gradual approach to the question of African Unity. Many believed that the rift between the two groups would become permanent and thus ending the hopes and dreams of African Unity. 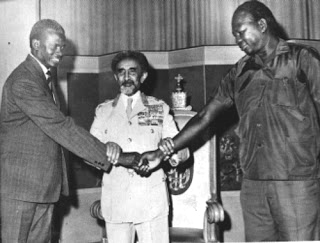 Yet, on 25th May 1963, these two opposing groups were able to come together to form the Organization of African Unity. 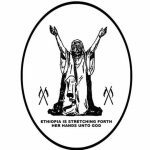 It was the efforts of Ethiopia which had remained neutral through the whole affair who bought these two groups together to form the OAU. Efforts by the then young Ethiopian Foreign Minister, Ato Ketema Yifru and Emperor Haile Selassie who was elected as the First Elected President of the OAU made it all possible. 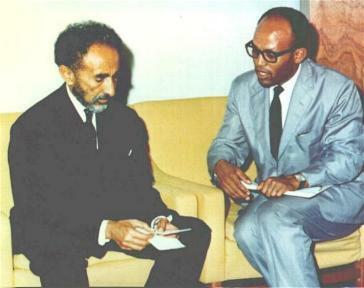 In Emperor Haile Selassie’s office, Ketema Yifru began to present his case to the Emperor in a manner which could draw his attention. 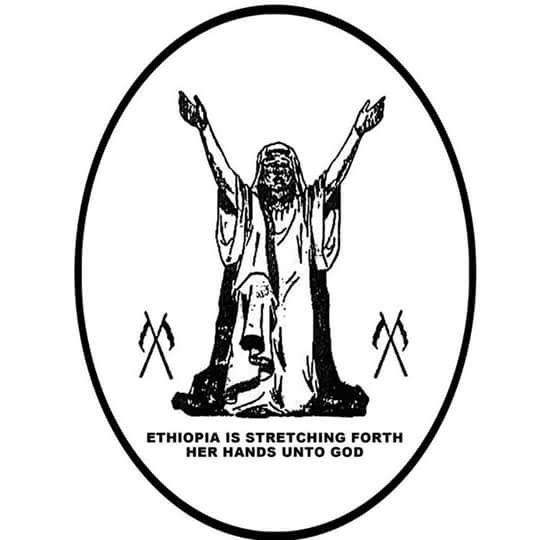 He reminded the Emperor of 1935, the year in which Ethiopia, a full member of the League of Nations, was abandoned by the same organization that was created to protect its members from external aggression. 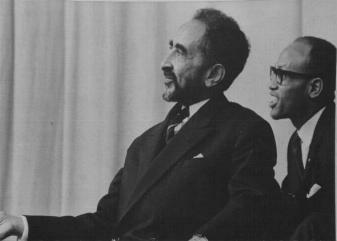 He advised the Emperor that a preventive measure should be taken to protect Ethiopia’s future interest. Ketema Yifru explained that his country’s national interest could be better served if it aligned itself with its fellow African countries. He advised the Emperor to embrace his African identity and become a willing participant in the continent’s upcoming political affairs. the Emperor gave his approval to Ketema Yifru. In fact, the Foreign Minister was given full autonomy on this subject and was only required to report on his progress. 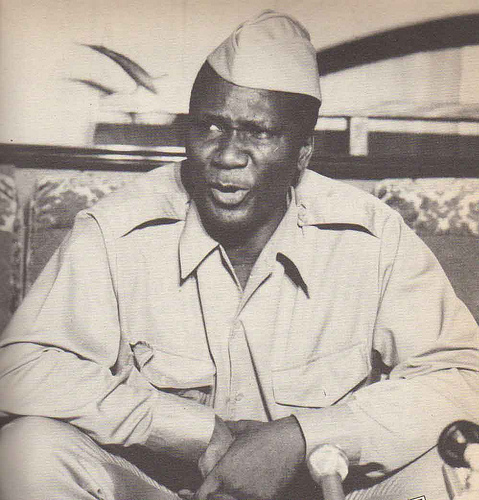 Ketema Yifru visited the Monrovia group Summit Conference, which was held in January 1962, in Lagos, Nigeria. It was during this historic moment that the Ethiopian Foreign Minister began to lobby the conference participants in the hopes of having the next Monrovia meeting in the Ethiopian capital. Ketema Yifru, who was on a mission to bring these two groups together, believed that once he had the approval of the Monrovia Powers, he would work on having the Casablanca members attend the proposed Addis Ababa Summit Conference. The relentless effort of Foreign Minister Ketema Yifru paid off: All the Monrovia Summit participants accepted Ketema Yifru’s proposal of having the next Monrovia meeting in Addis Ababa. The Emperor join his Foreign Minister in Lagos, Nigeria. Upon his arrival, Foreign Minister Ketema Yifru briefed the Emperor on his proposal to hold the next Monrovia meeting in Addis Ababa. Again, the Emperor consented to the Foreign Minister’s proposal. This speech excited those who were present. The summit would end with all the participants agreeing with acclamation to have the next Monrovia block meeting in Addis Ababa Ethiopia. In the mean time, the Casablanca group had scheduled a conference in Egypt for June 1962. 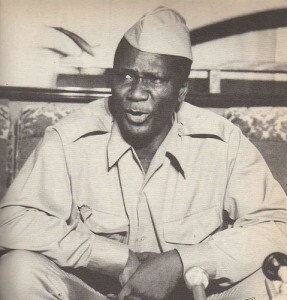 Foreign Minister Ketema Yifru, who at this point was trying to bridge the gap between the opposing groups, formulated a plan that could solve this problem. Since he had very good relations with the Guinean government, including President Seku Toure, who was one of the leaders of the Casablanca group, he decided that it would be in the best interest of his country if the Ethiopian government held talks with the government of Guinea. The Foreign Minster approached the Emperor with his plan of extending an invitation to President Seku Toure for a state visit to Ethiopia. When the Emperor asked why he had come up with this plan, the Foreign Minister explained that the goal of the Ethiopian government is to bring the opposing groups together. Ketema Yifru argued that President Seku Toure could help the Ethiopian government achieve its goal. The Foreign Minister explained that inviting President Seku Toure to Ethiopia could create an opportunity to exchange views on the division that existed between the two blocks. The Emperor agreed, and as result a special invitation was sent to President Seku Ture, who was attending the Casablanca Group conference in Cairo, Egypt. The Guinean President accepted the invitation and joined the Emperor and his Foreign Minister on June 28, 1962, in Asmara, where the Emperor was attending a ceremony for the Naval Academy graduation. In Asmara, Foreign Minister Ketema Yifru, who had forged a close friendship with President Seku Ture and other members of his government, had an opportunity to present his case to the Guinean delegation. Ketema Yifru pointed out that the conflicting views of the Monrovia and the Casablanca Group could create a permanent division in the continent. He advised the Guinean delegation that it was in the best interest of both governments to stop such a drastic occurrence from taking place. The Ethiopian Foreign Minister pleaded his case based on his friendship and the close ties that he had forged with the Guinean government. To the Foreign Minister’s delight, after some convincing, the Guinean delegation agreed to help in bringing the two groups together. Following the agreement, a communiqué that both heads of states had agreed to hold an all out African Summit in Addis Ababa was issued. 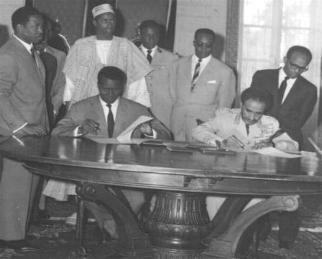 Now that an agreement was signed between the two countries, the next step was to convince both the Monrovia and the Casablanca blocks to attend the proposed Summit Conference in Addis Ababa. It was decided that the Ethiopian government, in the person of Ketema Yifru, would lobby both groups, while the Guinean government, in the person of Mr. Diallo Telli, who became the first Secretary General of the OAU, would lobby the Casablanca Group members. After discussion and deliberations, thirty-two African Heads of States (Algeria, Benin, Burundi, Burkina Faso (formerly known as Upper Volta), Cameroon, Central African Republic, Chad, Congo-Brazzaville, Congo-Leopoldville, Egypt, Ethiopia, Gabon, Ghana, Guinea, Ivory Coast, Liberia, Libya, Madagascar, Mali, Mauritania, Morocco, Nigeria, Niger, Rwanda, Senegal, Sierra Leone, Somalia, Sudan, Tanzania, Togo, Tunisia, and Uganda) signed the OAU charter in Addis Ababa, on May 25, 1963.